With warm sunshine, verdant countryside and world-class food and wine, it’s no surprise that the Dordogne Valley is one of the most popular places to go camping in France. Head for this fertile river valley in the south west of France for your camping break and you won’t be disappointed. You can kayak down rivers, explore medieval towns and visit historic châteaux before returning to your own little pitch in the sun. The good food, good wine and good living in the Dordogne Valley tempt thousands of visitors to the region every year – some of whom never leave. The region has a large British ex-pat community who can’t seem to get enough of the region’s many delights. And who can blame them? This south-west region of France has much to recommend it and it’s perfect for camping and glamping. The river itself provides endless pleasure: you can kayak on it, fish in it or sit by it and on its banks, you’ll find charming châteaux, quaint towns and picturesque villages with houses built from honey-coloured stone amid rolling hills and forest. The countryside offers endless opportunities for walking, cycling, running and horse riding. 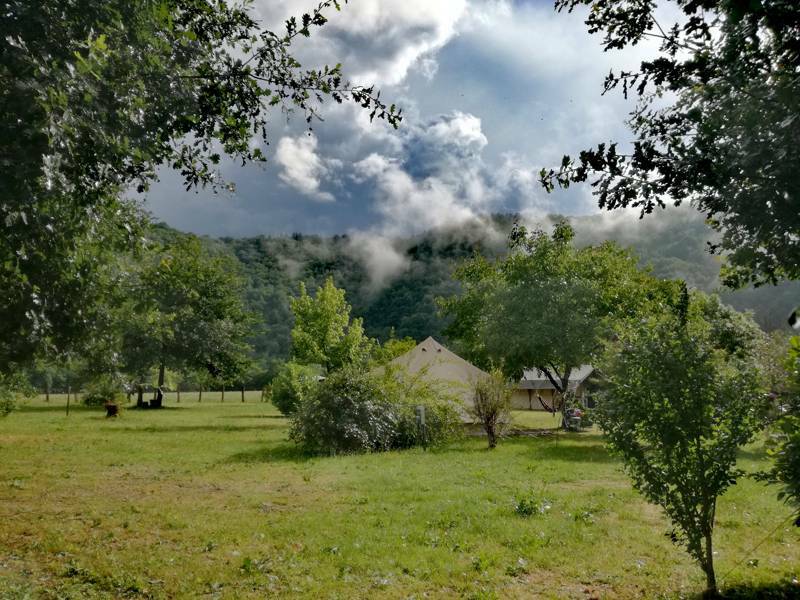 You can enjoy discovering all this bucolic charm and more on a camping or glamping holiday in the Dordogne and if you’re looking for the best campsites in the Dordogne Valley, you’ve come to the right place. There’s no shortage of campsites in the area but we’ve brought together only places that have met with the Cool Camping team’s seal of approval: sites that offer something extra special whether that be an incredible location, fantastic facilities or luxury glamping accommodation. Perhaps it’s thanks to the warmer weather, perhaps it’s down to sheer space or perhaps it’s about the fantastic places to visit? The reasons why are far from certain, but the French certainly seem to embrace camping with open arms and joie de vivre. 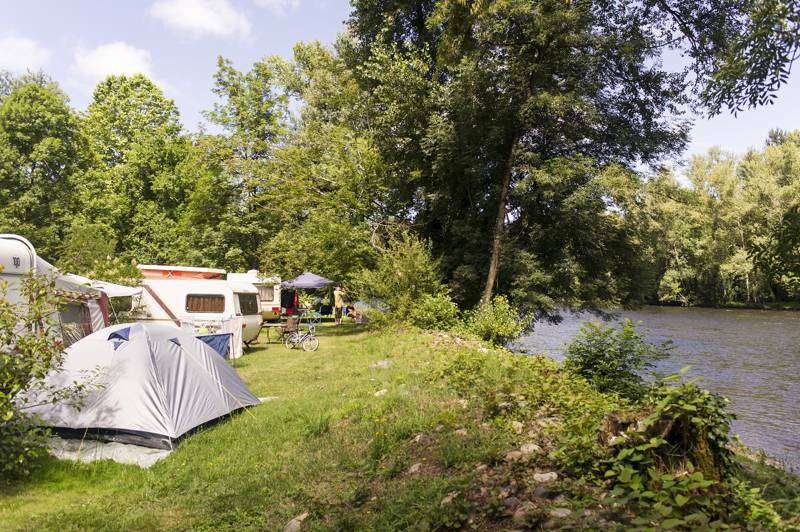 There are thousands of campsites across France and more than a few of them can be found in the beautiful Dordogne Valley. 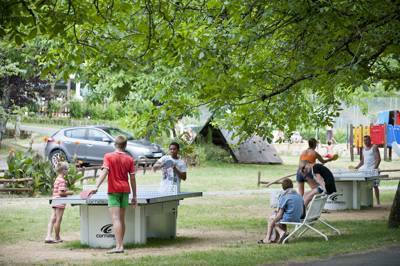 Many French campsites are set up to cater for large numbers of family campers who don’t want to miss out on facilities and luxuries on their annual camping holiday. We tend to prefer the smaller places that are independently owned and family run but even these may have more facilities than UK campsites typically offer. They may not all have a kids’ club (though some of them do) and they may not have a nightly cabaret but they will all be great places to set up your tent for a spot of classic camping. Many campsites have a pool, lots have a classic French pétanque pitch, table tennis and other sports facilities and most will collect your daily bread and croissants from the boulangerie for you. When the weather’s warm, what could be better than classic camping? It’s usually the best-value holiday around, is eco-friendly and lets you truly embrace the great outdoors. 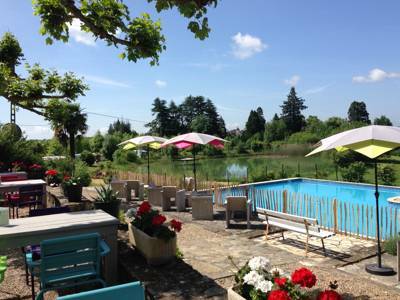 You can enjoy petit dejeuner outside in the warm morning sun, days exploring the region’s many attractions and evenings back on site, sitting around the barbecue or campfire with starry skies twinkling over the Dordogne Valley scenery. 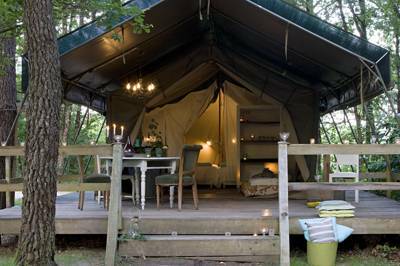 Some might argue that glamping has the edge over classic tent camping: you get to enjoy dining al fresco and the freedom of camping with the option of retreating inside for quiet, comfortable and cosy nights. 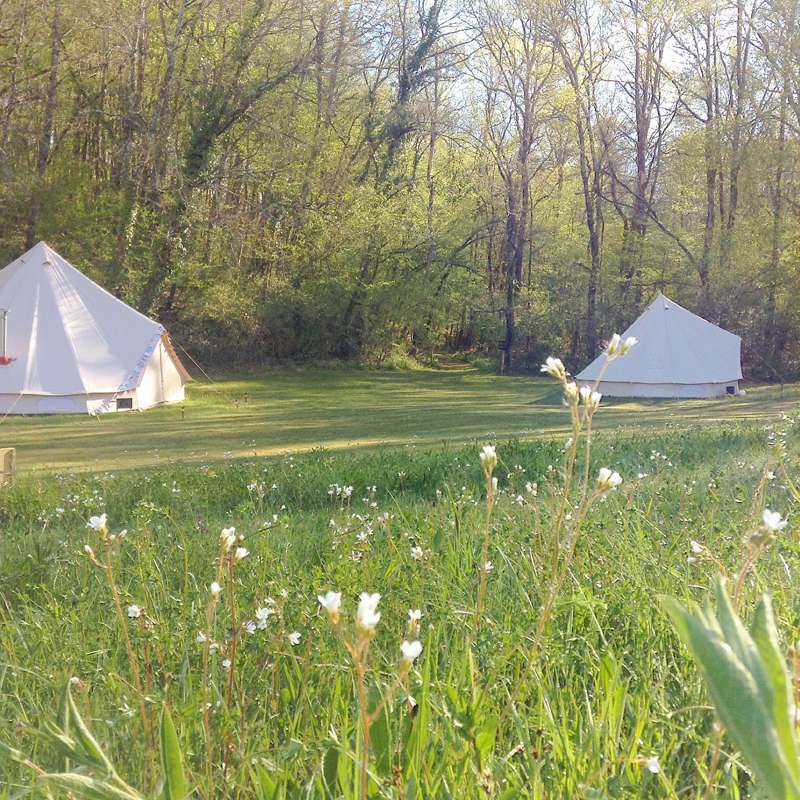 There are plenty of dedicated glamping sites in the Dordogne Valley where there are just a few bell tents, yurts, safari tents or tipis sharing a meadow. There are also places where you can choose to stay in a wooden chalet, roulotte (gypsy caravans) or perhaps even a treehouse while enjoying the facilities and sociable atmosphere of a larger campsite. Whether it’s seclusion and privacy that you’re looking for from your Dordogne Valley glamping holiday or a sociable atmosphere and family-friendly facilities, you’re bound to find something to suit among our hand-picked collection. Choosing glamping in the Dordogne over classic camping will also mean your car won’t be quite as full on the long drive down to the south of France making the journey a lot more comfortable and convenient. In fact, if you’re glamping; flying or taking a train to your destination becomes a much more realistic option as you won’t need to try and pack your camping gear in to your airline’s baggage allowance! If you didn’t go camping in France as a kid, you probably know someone who did and if that’s the case, it’s more than likely that you’ve heard all about it. That’s because camping is the stuff that childhood dreams are made of and taking your tent to France makes the whole thing even more memorable. You may have to endure the question “are we nearly there yet?” umpteen times on the drive to your destination but it’ll be worth it when you arrive at your camping or glamping site and the fun begins. Playing outside all day, running around barefoot and making new friends are all part of the fun of a camping or glamping holiday. Add in swimming, playing table tennis, kayaking down rivers and exploring caves and you can expect happy but exhausted children. The range of adventurous activities (and the opportunity to eat pain au chocolat for breakfast every day) mean holidays in the Dordogne are likely to be enjoyed by kids of all ages, from toddlers to teenagers. As a destination, the Dordogne ticks the boxes for parents and grandparents too with plenty of things to do whether you are a sports enthusiast, history buff, culture vulture or foodie. If any members of the family are not happy campers, then perhaps opt for a site with a mixture of camping and glamping pitches or book up to stay in a chalet or cabin with its own facilities and plenty of space. There’s provision for four-legged members of the family as well with dog-friendly camping and glamping sites in the mix. France is one of the easiest places to holiday with a dog – just as long as you have a doggy passport! There’s the Dordogne and the Dordogne. The name can refer to the French department (like an English county) and to the Dordogne Valley that cradles the 450km-long river of the same name. The Dordogne department roughly corresponds to an ancient, natural area of France called the Périgord which is famed for its natural beauty, gastronomy and historic sites. The Dordogne Valley is more expansive and, although it includes the Dordogne department, it also spreads east to the river’s source in the Puy-de-Dôme region of France’s central mountain range, the Massif Central, and west to the Atlantic Coast. Having said all that, when you’re going camping in the Dordogne, there’s little point in getting bogged down in the detail as many of the most-interesting and well-known places to visit, along with lots of camping and glamping sites, fall within both the Dordogne region and the Dordogne Valley. But it’s worth being aware that the official French tourist information is usually categorised by region and department, therefore while there’s plenty of information out there, such as that on France’s official tourist information website, it is usually about the Dordogne region and you may want to look up the surrounding regions too if you are further up or down the Dordogne Valley. The Dordogne Valley is well-known for the medieval villages that cling to its banks: Domme with its still-intact 13th-century ramparts; Carennac with attractive buildings in the golden-hued stone that’s characteristic of this region; and Beaulieu-sur-Dordogne with a 12th-century Romanesque abbey church are three of the best. If you want to take to the water, you can hire kayaks on the Dordogne at Domme or, for another place to paddle, try Brantôme. It’s in the north of the Dordogne region and you’ll actually be taking to the River Dronne, but it’s a popular and lovely route and a great way to see the town and surroundings. Foodies won’t want to miss the Saturday market at Sarlat where you can pick up some of the region’s many delicacies from walnuts to foie gras. The town has a mix of attractive medieval and Renaissance buildings and plenty of pavement cafes and restaurants to enjoy French cuisine, a café-au-lait and a spot of people-watching. The Dordogne region’s capital, Perigueux, is north of the river but also worth a visit for food lovers as it is home to a few food markets. Winter glampers and campers will be able to visit the dedicated Truffle Market if their stay coincides with the season (usually December–February) but no matter what time of year you visit, you’re likely to be able to pick up or try some of the many products made with this most-prized ingredient. The town also has some historic sites and museums including a turreted cathedral and an excavated Roman house. If you’d like to visit a vineyard while you’re in the Dordogne region, head south-west along the river to the area surrounding Bergerac. This area is known as the Périgord Poupre (purple) thanks to the 13,000 hectares of vines that spread across both sides of the river. The river bank has also proved a strategic (and scenic) spot for châteaux building. Some are simply grand houses but others are impressive medieval fortresses with fascinating histories like Châteaux de Beynac and Châteaux de Castelnaud; both are open to the public, worth exploring and offer amazing views of the surrounding river valley. No visit to the Dordogne would be complete without going underground. The Vézère Valley has been given World Heritage Site status because of the 147 prehistoric sites in the region – the most precious of which are the Lascaux Caves where there are 100 well-preserved prehistoric paintings. You can also enjoy the surreal experience of cruising on an underground river at the Gouffre de Padirac and perhaps visit tourist hotspot Rocamadour, a pilgrimage centre, where buildings cling to the cliff-face and there’s a good line in goats’ cheese. There are dozens of places (including some campsites) to hire kayaks and canoes so you can take to the river itself. Whether you fancy a peaceful paddle around a town or an adventurous run down rapids, you’ll find a place to do it on the Dordogne. The importance of the pre-historic cave paintings in the Lascaux Caves has been recognised by UNESCO. Although the ancient artworks are now kept away from the visiting public, an exhibition and replica cave tells its story. 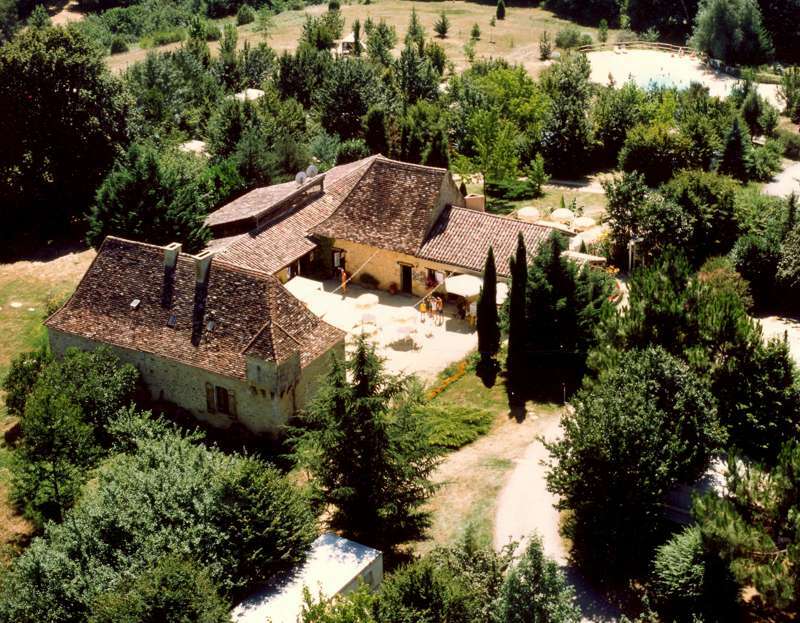 According to some sources there are 1,001 châteaux on the banks of the Dordogne so it shouldn’t be too hard to find one! Some are just crumbling ruins, some are well-preserved historic fortresses, most will have you reaching for the camera. The honey-hued stone houses of the Dordogne are one of its classic postcard scenes. Wandering the cobbled streets is a pleasant way to while away an hour or two. Paté, cheese, baguettes, olives and juicy sun-kissed fruit… Whether you’re paddling upstream or walking along the river banks, the beautiful scenery of the Dordogne Valley cries out for you to pause and drink it all in: the perfect time for a picnic or Dordogne produce, in our opinion. Have a go at the sedate national sport of petanque, or boules. You can watch locals play in the centre of towns and villages but why not have a go yourself? And fear not if you don’t fancy playing in front of the experts, many campsites have an on-site petanque court. The vineyards of Bergerac produce an array of wines that are best sampled in situ on the banks of the Dordogne where the mild climate and plentiful sunshine help the vines thrive. If you don’t mind a long drive, you could head to the Atlantic coast for a day on the beach but closer to camp you’ll find opportunities for a spot of wild swimming from river beaches like the one at Limeuil, and even water parks if your kids are looking for thrills and spills while they keep cool. A holiday in the Dordogne Valley gives you plenty of opportunity to try the region’s famous gastronomy: confit de canard, cassoulet, salade au chevre and anything with a drizzle of truffle oil. 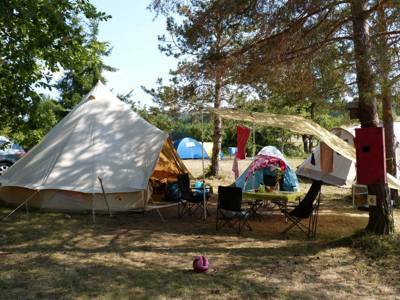 Dordogne & Lot, Campsites in Dordogne, Dordogne Camping, Dordogne Campsites, Campsites Dordogne, Camping Dordogne, Dordogne Glamping, Glamping in Dordogne at Campsites in the Dordogne Valley, Heading to France for a camping holiday? 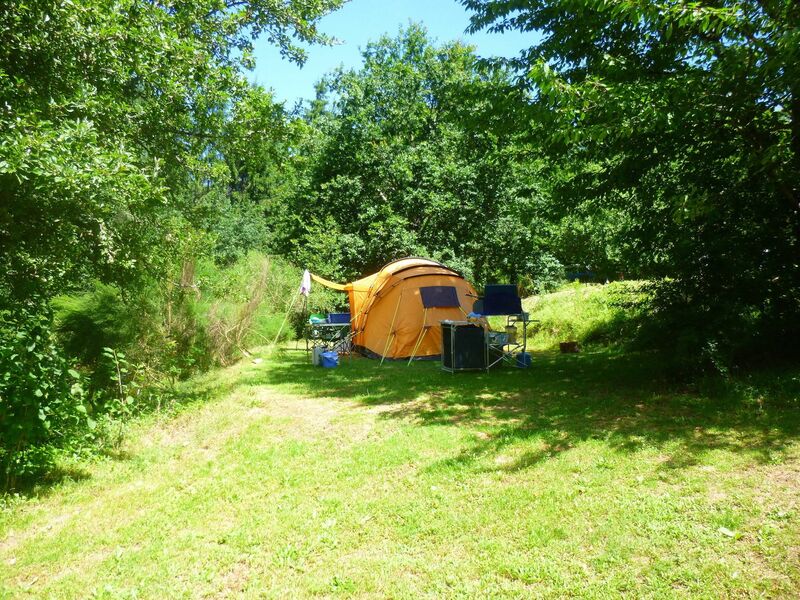 Why not check out the campsites we’ve handpicked in Dordogne & Lot. From glamping spots to riverside tent pitches, campsites where motorhomes are welcome to adult-only sites. You name it, we got it.